Chasing Yesterday just won the Anoakia Stakes at Santa Anita. The half sister to American Pharoah was very determined running down the leader and getting that win. She may not be big, but she has heart. Runner-up It'sjustanillusion is a granddaughter of grade II winner Silent Eskimo. Out of Balance (Kitten's Joy x Balance) is entered on October 19 at Santa Anita in R8 for her debut. I learned via a Bloodhorse comment that Bucchero is a female-line descendant of Fifinella, who won the 1916 Epsom Derby and Oaks. She is one of six fillies to do so and the last one. The 3-year-old Dubawi filly is a half sister to group 1 winner and 2006 European champion 2-year-old colt Teofilo as well as group 3 winner Bean Feasa. I'd noticed a full brother to Mohaymen and half to New Year's Day working at Los Alamitos; name, Kingly. He's now at Santa Anita and the track workout reports list his trainer as. . .
War Film, o/o Film Maker, makes his debut in Race 3 at Keeneland on October 17. She ran an encouraging 2nd. That was a nice run by her. She was pretty far back but made a strong charge up the rail to finish a closing 2nd to Velvet Queen, a nicely-bred filly by Animal Kingdom out of a Tapit mare. For those who are interested, Velvet Queen is out of a half-sister to grade I winner Lion Tamer. Tanino Mission(IRE), 2016F. 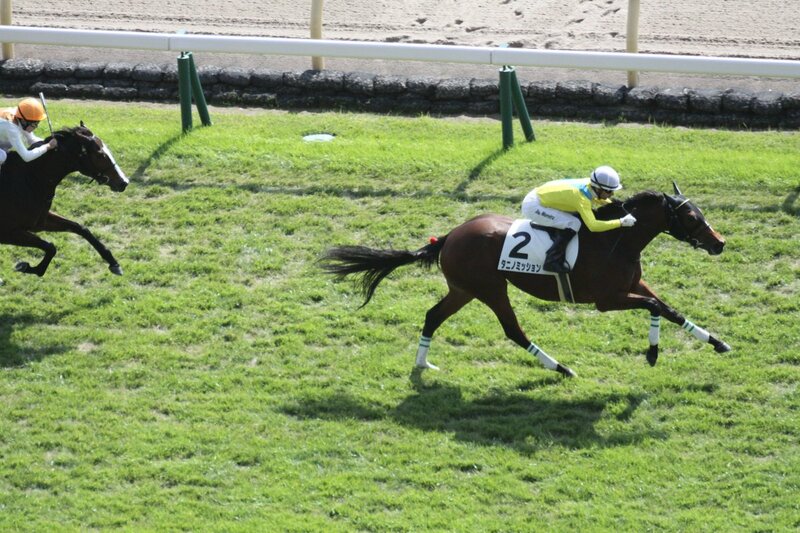 Invincible Spirit(IRE) x Vodka(JPN), won on her debut impressively in Tokyo 4R 1600m turf Newcomer on Oct 21th 2018. It looks like Vodka has finally produced a real deal with her first mating with Invincible Spirit!! tachyon, is there a link to a replay? I was looking forward to her debut! And wow, that was quite the turn of foot she showed after she cleared the traffic that was in front of her! Eased up, even. Wow. I was a huge fan of Vodka. Really hoped she'd become as great a producer as she was a racehorse, so it's nice to see such a promising filly. Vexatious, a full sister to Creative Cause and Destin, won the Gr.III Dowager by disqualification. 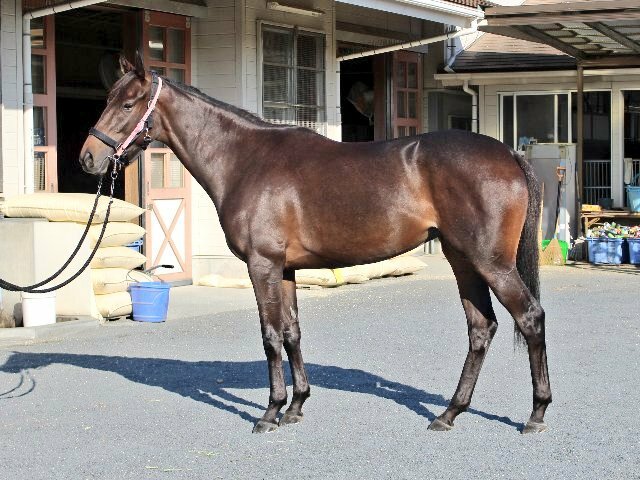 Blueblood 2f MOANA ANELA (King Kamehameha x Gentildonna (Deep Impact) is set to debut on 11/4 1600m on Turf at Kyoto. Always Shopping (Awesome Again x Stopshoppingmaria) finished 2nd in Race 4 at Belmont. Skylar's Way making her race debut at Delta Downs in race 3 on the 1st of November. Skylar's Way's dam, Promise Me G, is a half sister to Leah's Promise, who is the grandam of multiple Stakes winner, Promise Me Silver. So Alive -- (Street Sense x Mythical Bride) a half to Vino Rosso won on debut at Keeneland R5 after navigating what seemed an impossible trip, in the mud, finally eating up the frontrunner in about three jumps once he got clear.